The government released the official CPI numbers. They determined the 2016 contributions limits for various retirement plans and IRAs. Inflation is very low this year. For the most part, the limits in 2016 will stay the same as in 2015. 401k/403b/457 contribution limit will stay the same at $18,000 in 2016. If you are age 50 or over, the catch-up contribution limit will also stay the same at $6,000. Employer match or profit sharing contributions aren’t included in these limits. 401k/403b and 457 contribution limits are separate. The total employer plus employee contributions to all defined contribution plans by the same employer (not including 457 plans) will stay in the same at $53,000 in 2016. The age-50-or-over catch-up contribution is not included in this limit. If your employer limits your contribution because you are a Highly Compensated Employee (HCE), the minimum compensation stays the same at $120,000 in 2016. SIMPLE 401k and SIMPLE IRA plans have a lower limit than 401k plans. It will also stay the same at $12,500 in 2016. If you are age 50 or over, the catch-up contribution limit will also stay the same at $3,000. Traditional and Roth IRA contribution limit will stay the same at $5,500 in 2016. The age 50 catch up limit is fixed by law at $1,000. 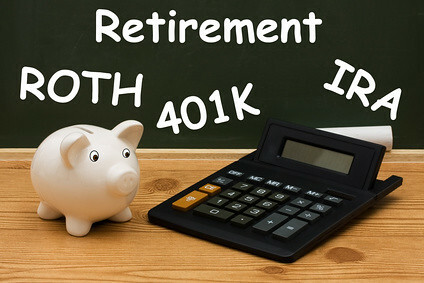 The IRA contribution limit and the 401k/403b/SIMPLE contribution limit are separate. The income limit for taking a full deduction for your contribution to a traditional IRA while participating in a workplace retirement will stay the same in 2016 at $61,000 for singles and $98,000 for married filing jointly. The deduction completely phases out when your income goes above $71,000 for singles and $118,000 for married filing jointly, the same as in 2015. The income limit for taking a full deduction for your contribution to a traditional IRA when you are not covered in a workplace retirement but your spouse is will go up by $1,000 in 2016 to $117,000 for singles and $184,000 for married filing jointly. The deduction completely phases out when your income goes above $132,000 for singles and $194,000 for married filing jointly, both up by $1,000 in 2016. The income limit for contributing the maximum to a Roth IRA will go up by $1,000 in 2016 to $117,000 for singles and $184,000 for married filing jointly. You can’t contribute anything directly to a Roth IRA when your income goes above $132,000 for singles and $194,000 for married filing jointly, both up by $1,000 in 2016. You can still do a backdoor Roth IRA in such case. The income limits for receiving a Retirement Savings Contributions Credit (“Saver’s Credit”) will go up by $500 for married filing jointly, to $37,000 (50% credit), $40,000 (20% credit), and $61,500 (10% credit). The limits for single will go up by $250, at half of the limits for married filing jointly, to $18,500 (50% credit), $20,000 (20% credit), and $30,750 (10% credit). Thanks for putting these together. It was one of these posts a couple of years ago that led me to your blog in the first place, and the rest of the content that kept me coming back. Thanks for putting this together. Based on my understanding of the situation, an employee who has access to a 401 (k) and a 457 plan can defer $18,000 per year in EACH plan. Actually, that is what Justin from Root of Good did to speed up his retirement process. That’s true. The limit for 457 plan is separate, but not everyone has a 457 plan. This post is more about the limit itself, not how the limits interact with each other. The $53k limit is per-employer. He can contribute another $4k to SEP when his own business is separate from his day job. Question. A friend of mine is getting a 401k job where they will be making $300,000. The problem is the job does not offer a 401k. Can they open an ira and get a tax deduction because their job doesn’t offer a 401k or is there an income phaseout for the tax deduction at that income? In the past that seemed to be okay but I can’t find the info for this year. If your friend is single he/she can contribute to a traditional IRA and take a deduction (no income limit). If he/she is married, they must file jointly and his/her spouse must also NOT be covered by a workplace retirement plan. See 2015 IRA Deduction Limits – Effect of Modified AGI on Deduction if You Are NOT Covered by a Retirement Plan at Work. Do we know yet where FICA contributions max out in 2016? Don’t know that one. It goes by a different index, with no monthly releases. You can guess what the increase in the NAWI will be from 2013 to 2014, then apply the formula and the rounding rules, just as you did for the other limits. From 2012 to 2013, the increase was 1.3%, and the Usual Weekly Earnings Summary report for 4th quarter 2014 shows an increase of 1.7% over 2013. A 1.5% increase in the NAWI looks like a reasonable guess, but if you want to refine it a little, look at all four quarters of 2014 weekly earnings vs 2013. I just learned when there is no Social Security COLA, the law prohibits an increase in Social Security wage base, no matter what the national average wage index comes out to. Just to clarify: the $53K max contributions allowed on all plans does not include 457 plans, correct? Per the IRS website, 457s have their own limits and are not included in that respective threshold. BTW- love the blog, I find it very helpful. That’s correct. Also see comment #2 above. Thank you for the love. In 2015, via two employers, I’ll have made contributions (through my own funds, not employer funds/matches) to a Roth After-Tax account within a 403b plan and to a SIMPLE IRA account. Are my annual contribution limits (i) 18k and 12.5, respectively, or 30.5k in total; or (ii) 18k in total across the two plans as the cap on elective deferrals is 18k/year? Are after-tax contributions to a Roth account within a 403b plan subject to the elective deferral cap? Sir, the IRS does not come out with the CPI numbers, the Bureau of Labor Statistics does. Today, October 15, 2015, the BLS issued the CPI number for September 2015. This rate, with the rate for August and July 2015 are used to compute the IRS pension limits. However, no figures are considered official until the IRS releases the news release with those figures. As of 3:05 p.m. this afternoon, that press release has not been issued. Your figures are not official IRS figures. Updated to “The government released …” Official or not, with all CPI numbers out, it’s simple math at this point. A 2nd grader can calculate the same numbers. The IRS has to follow the math written into the law. They can take their sweet time in composing the press release. It’s not going to change anything. Do you have numbers for the Retirement Savings Contributions Credit (Saver’s Credit) cutoffs for 2016? When is this information usually released, and what cpi numbers are they based on? I see this IRS page https://www.irs.gov/Retirement-Plans/Plan-Participant,-Employee/Retirement-Topics-Retirement-Savings-Contributions-Credit-%28Saver%E2%80%99s-Credit%29 has 2014 and 2015 numbers, so I guess the 2016 numbers will show up there eventually. Actually is there a good centralized source that explains how all the CPI-linked tax-related numbers are calculated? Increase by $500 for married filing jointly, $250 for single. They are based on the same CPI-U numbers as IRAs. Centralized source is the Internal Revenue Code in various sections. Have you heard of a change in 2016 that would allow the employer Roth 401k match to be put into your Roth 401k account instead of your Traditional 401k account? There is no such change. Employer match is always pre-tax. Are the 403b,401k, and SIMPLE IRA limits of $18.000 (+$6,000 catch-up) separate from the Traditional or Roth IRA limits of $5500 (+$1000 catch-up)? I am eligible for the catch-up contributions and need to know if I can contribute $24k to my 403b plans plus the $6500 I contribute to my Roth IRA or if the limit for all these contributions combined is $24k. I am 64 years old and wonder what is the total of elective salary defferals plus employer matching contributions is limited to in 2016…is it $53,000 plus the $6,000 catch-up contribution for over 50 year olds for a total of 59,000? It is, but the catch-up had to be elected separately. If you didn’t do the catch up, it can’t be made up with employer contributions. can I contribute to my ROTH IRA (for 2017) the $5500 and the $1000 catch up (I am over 55), AND the $12,500 plus $3000 catch-up to an existing SIMPLE IRA? Only if you are under the income limit for contributing to a Roth IRA. wife has 403b thru her teaching job. if she only contributed 12000 in 2016, can she contribute more (up to max) between jan 2017 and april 2017? so i saw a reply of no. so it is different than roth and iras where you can contribute to previous year up till tax day?